This ceiling light has a modern design that would suit any contemporary setting. 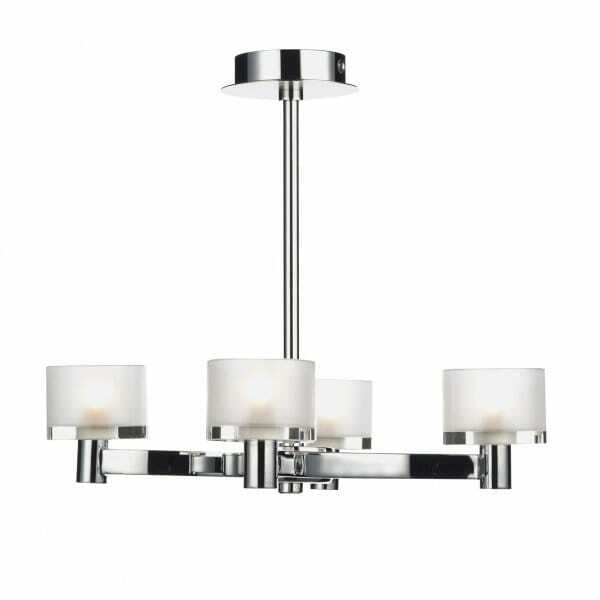 The light has a polished and satin chrome mixed finish frame with clear glass shades which have a frosted inner. Given that this light only has a height of 34cms it is therefore suitable for use in rooms with low ceilings.